The work examines Grillparzer's dramatic production from two differing but complementary viewpoints. Various aspects of human existence as acting are analysed, among them: the loss of self through identification with a role, the attempt to influence others' acting of their roles, the influence of costume and setting on the actors. 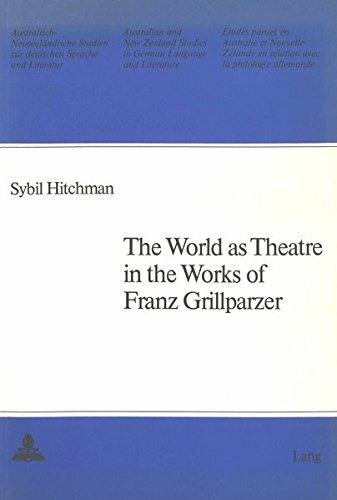 Then Grillparzer's plays are treated in the light of the «theatrum mundi» concept, and an attempt is made to determine both Grillparzer's borrowings from earlier dramas and the innovations which he brought to this scheme. The influence of Grillparzer's personal and political life on his creativity is also examined. View More In Ethnic & National. If you have any questions about this product by Peter Lang International Academic Publishers, contact us by completing and submitting the form below. If you are looking for a specif part number, please include it with your message.